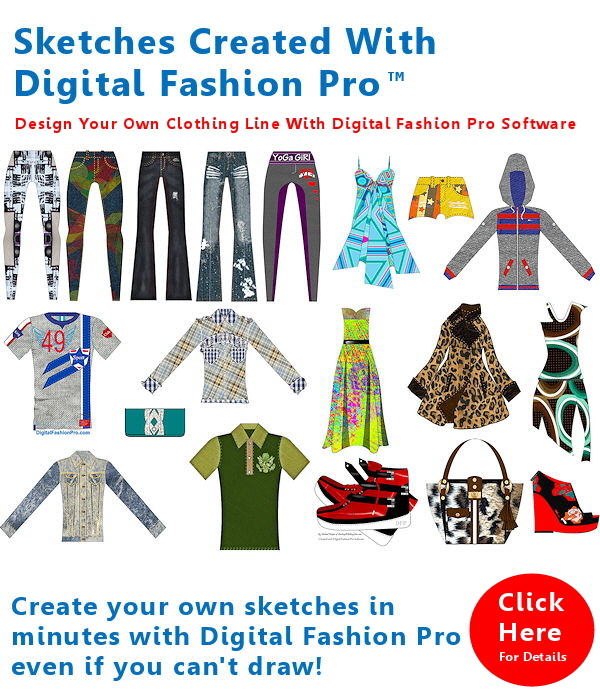 Get 100’s of Fashion Design Templates Now With Digital Fashion Pro to Create Your Clothing Designs! Using Fashion Design Templates is a great way to begin your designs. Think about it. Why would you want to draw the same silhouette over and over just to begin your design. That is one of the major reasons to use fashion templates. It save you time and energy. Any time you begin to design, you will first have to create a frame / silhouette before you can add your design details. The use of a fashion template just takes you straight to the designing part. Fashion illustration templates also help you create a uniform look across your fashion sketches. Another important aspect of fashion design templates is so all of your designs will have the same proportions. If you can’t draw then using fashion design templates is another bonus. However, even if you can draw really well, there is still no substitute for fashion design templates. Fashion design templates are simply practical. In fact, if you lack creativity, a fashion template will not save you. Creativity is still needed whether you are designing by hand sketching or using a fashion template as the foundation of your design idea. There are two kinds of fashion design templates. 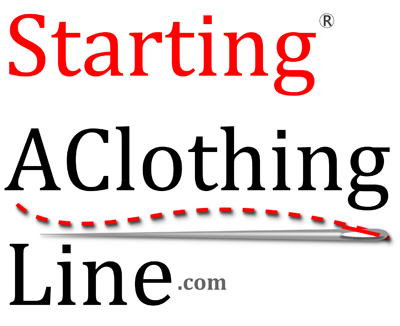 You have garment only style templates which simply means separates. This means that every piece such as shirts, pants etc. is on it’s on background. The second type of fashion design template is a model style template. This is when you have a full model figure (looks like a real person – with a head or without a head). Fashion design templates simply make life easier for fashion designers. Especially when you can use templates that can be modified, changed, and customized such as the one in the Digital Fashion Pro Fashion Design System. As long as you have an option to customize your fashion templates, the process can never be called coloring book. Think about it; to design anything you have to start with a frame and then add design. Just because you eliminate the need to draw the frame because you have a fashion design template to start with does not take away from the overall concept of creating a beautiful design that you have envisioned in your head. You just skipped one step in the process so you now can focus more time on your design rather than trying to make the outline of your silhouette flawless. A true fashion design system / fashion templates will allow users to be able to really alter the looks of the templates if desired. This allows fashion designers the ability to really exercise their full creative freedom when their designing. In the above fashion design template example, you see where the designer started out with a fashion design template of a shirt and some pants. In step 2, the designer added digital fabric (another great feature of Digital Fashion Pro). In step 3, the designer added details in terms of stitch work, lacing, cut the sleeves on the top, added a pocket on one of the pants legs, then added a sandblast effect to the jeans (Denim Wash Factory for Digital Fashion Pro). At that point, the designer created a technical sketch version of his design plus a spec sheet for it and then sent all the details to a garment manufacturer. In step 4, you see how the finished design looked once it was sewn together. Personally I think the sewn product resembles the fashion sketch 100%. What do you think? So back to fashion design templates. There is definitely a place for them in fashion design. If you’re one of those people knocking fashion design templates because you can draw you should think again. In fashion the only thing that really counts is the final garment once it is made. 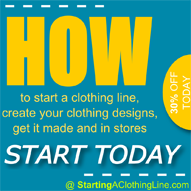 For more information on fashion design templates that you can use – visit this link. Visit www.DigitalFashionPro.com.